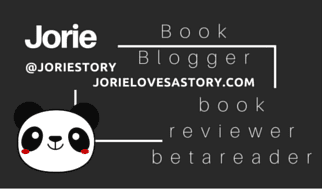 Today, I am welcoming to Jorie Loves A Story a New Adult novelist S.B. Alexander as I started to realise that the best way to understand the changing market of Young Adult & New Adult novels is to seek out writers who are penning the stories and thereby finding a way to understand how the market is continuing to yield to the demand for stories that relate to today’s youth and emerging adults during the University years as much as provide a positive contribution to the craft of stories for growing minds. What interested me the most about S.B. Alexander’s Dare to Kiss novel is how diversely unique her lead character Lacey Robinson is inside the story itself. Alexander tackles the brutality of domestic violence and murder of loved ones whilst honouring the anguish of surviving through the loss by giving her character an upward climb back into her reality. PTSD is a living issue affecting so many people right now, that I was surprised that it is not spoken about more in today’s fiction, as it is not only limited to returning servicemen and women anymore. Extreme trauma and stress can affect anyone who is attempting to resolve what is unthinkable and unfathomable to accept. I appreciated seeing the bold choice in Lacey’s mental health affliction as much as the courage to show through the strength of a sport she was passionately a part of she could grow a bit of distance from what shattered her life, and fuse a period of re-building and grace out of sorrow. I originally had planned to read this novel for review for the blog tour, however, a print edition was not available which is why I opted instead to host a Book Spotlight & Author Q&A. I regularly speak about how I applaud the continuance of Equality in Literature & Diversity in Literature and I believe the more realistic stories can formulate a bridge towards understanding, empathy, and acceptance of what people are facing in today’s world, the better chance we all have towards a healthier community of people who not only respect each other but can offer a kindness that might otherwise have gone unseen. We’re all a part of the living mecca of life on Earth, but there are times where I think sometimes our differences can overstep our ability to see how our similarities will always knit us close together and allow us to enjoy each others company. I love how your writing novels in different genres and not keeping yourself strictly inside the Paranormal & Fantasy genres but exploring another avenue such as New Adult. I have noticed that authors of New Adult are classifying their novels in this genre on two distinctive branches of the fold: either with explicit language included and stories without explicit language. As I am a reader who prefers less brass language, how do you approach the genre for those readers who enjoy reading Young Adult but do not want to read the coarse words often found in today’s modern Adult fiction? Do you temper how much you include? Alexander responds: In the Young Adult genre I do temper the strong language. I limit it as much as I can unless a scene calls for an out of character moment or it reflects a character’s personality. At the heart of the story is a girl who is attempting to understand and live with her PTSD after having lost part of her family from homicide – what was the kernel of inspiration to breathe life into a character whose anguish of loss gave her such a difficult path to sort through as she walked forward from the tragic death of her Mum and sister? Alexander responds: I had a hard road growing up, and went through something similar to the protagonist. When I was five-years-old, my dad had picked me up for the weekend, and we were going to spend it at his best friends house. I was so excited to see his best friend that I tore out of the car and ran into the house. When I did I found the man, who my dad loved dearly, dead in such a way that I had nightmares for the longest time. By focusing on a sport she has a passion for such as baseball, I could almost see how she could put the pieces of her life back together by fusing her focus with something altogether outside the deep layers of her grief. What connected Lacey to the game originally and do you share a similar passion for baseball as well? Alexander responds: Lacey’s older brother played baseball, and he taught her everything about the game, from the positions to the pitches. They’d sit for hours, watching the Dodgers, talking about how to throw a curveball, a fastball and a slider. After so much talking and learning the game, she wanted to try her hand at pitching. Once she slipped her fingers into the glove and threw her first fastball, she was hooked. Like Lacey, baseball has always been a sport I’ve loved. For me, as a little girl my nighttime prayers consisted of two things. I prayed for a better life, and I prayed that when I woke up in the morning I’d be a boy and not a girl. Sure, it was a crazy prayer or wish, but I hated when the boys in my neighborhood told me I couldn’t play baseball or any sport for that matter. “Go play with your dolls,” they had said. I didn’t want to play with dolls or dress up pretty. Nope, I wanted holey jeans, a T-shirt, a bat, a glove and a baseball. I wanted to get dirty, run around bases, hit a ball, and play the game. After all these years I’m still hooked on the game. My favorite team is the Boston Red Sox. What kind of research did you conduct for this novel as it is a step outside your regular releases? Alexander responds: As far as baseball, I know the game so well. Even though I’ve never had the luxury of playing baseball, I follow the sport religiously. So the sport aspect for me was easy. However, I did do a lot of research on PTSD. Alexander responds: I’ve written in a diary since I can remember. I’ve always found writing cathartic, a way to release my emotions. Still, I’ve always had the story idea of a girl playing baseball in a male dominated sport. I tried several times to weave the idea together, but after a few attempts I shelved the story due to the career path I followed. It wasn’t until two years ago when I decided to get really serious about writing. An employee whom I managed at the time, his wife was striving to be a writer. Her and I used to talk about stories and writing. From those conversations, she motivated me to stop talking about writing a book and just do it. So I put all my effort into the learning the craft. 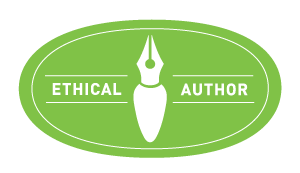 I took online classes, and found an editor who loved my writing. She was my cheerleader as I began my writing journey, and still is. Alexander responds: I love to begin my outline and my first chapter the old fashion way—a notebook and a good pen. I’ll work this way until I have the plot somewhat worked out. Then I switch to my Mac. I don’t use any of the special software for writing. I use Microsoft Word for all my stories. I also keep a binder with character descriptions, themes and any research I do along with a summary for each chapter. Most of my ideas stem from getting out of my office and not thinking about the plot or the characters. I find whether I’m in my car or on a plane an idea will come to me, especially if I’ve been struggling to figure out the next scene. I also find that sitting in front of the TV with my laptop works wonders for my inspiration. As you have mentioned previously you write the story first and settle where the story fits on the shelf later, are there any stories you have yet to explore that are outside Young Adult & New Adult audiences? Alexander responds: I do have a mystery lurking in the depths of my subconscious.